Gymnastics is an elegant sport. Performing it well needs years' diligent exercise. 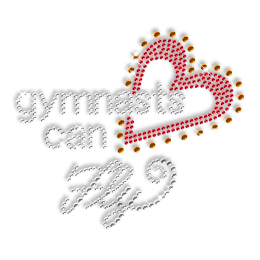 Just like Iron on Crystal Gymnastic Dancing Rhinestone Transfer produced by CSTOWN. It is ingeniously designed and exquisitely produced by professionals’ hard working. Made of Rhinestone, this design is of perfect size 2.7 X 4.4 and with bright color Crystal.